Manchester's Old Trafford will host an exciting fourth test for the England v Australia 2019 Ashes, in which both teams will be competing for the Ashes urn. England are looking to return the urn back to the UK with a win over Australia. 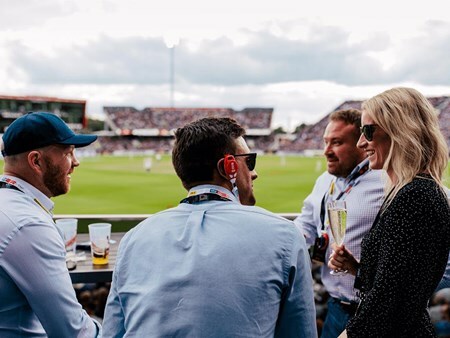 Emirates Old Trafford has a range of excellent corporate hospitality options, creating the perfect platform for a full day of entertainment at this fabulous event and ensuring each VIP guests enjoys a day to remember at this famous cricket amphitheatre. 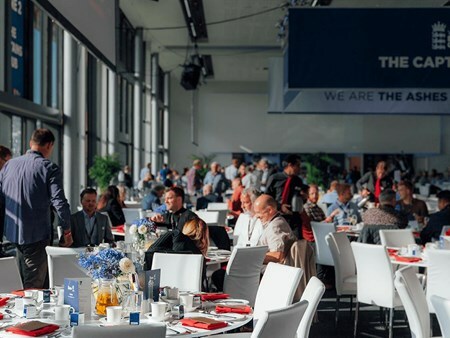 As one of the most exclusive hospitality packages within the historic Pavilion the Legends Lounge offers a formal, yet relaxed hospitality environment, with premium second floor balcony seating directly behind the bowler’s arm offering the ultimate view of the action. Enjoy sumptuous à la carte dining and complimentary drinks including fine wines plus, enjoy a Q&A with an ex-player! 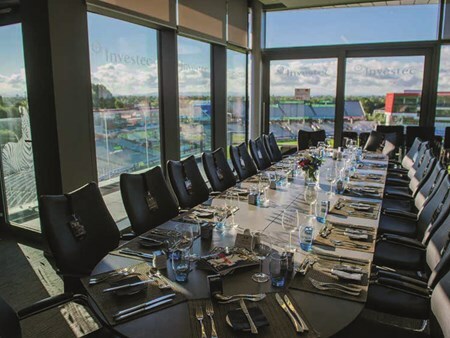 The Boardroom takes you behind the scenes at Emirates Old Trafford and is the perfect place for a private group of up to 30 guests to enjoy international cricket from one of the most important and traditional rooms within the Pavilion. Enjoy prime viewing from your private third floor balcony behind the bowler’s arm as well as Champagne served on arrival followed by exquisite à la carte dining and a complimentary drinks service. Think you’ve experienced the very best in cricket hospitality? Think again. Take the VIP treatment to another level with an exclusive Executive Suite for up to 18 guests. 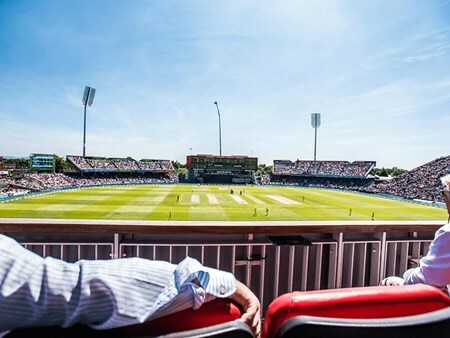 Take in the action from a private balcony behind the bowler’s arm, enjoy a delicious three-course à la carte lunch crafted by Executive Chefs and complimentary bar, boasting Emirates Old Trafford’s finest refreshments. Your Executive Hotel Suite will offer a relaxed and informal setting for up to 12 guests and the large and comfortable rooms have been designed with VIP hospitality in mind, boasting relaxed seating, and a grand terrace or balcony with outdoor furniture for the finest views. You and your guests will be welcomed with Champagne on arrival followed by delightful canapés served on your balcony or terrace prior to lunch. 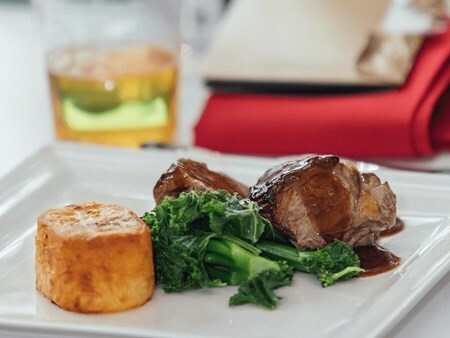 The Executive Chef will prepare an array of lunch options completed with a range of mini desserts, your guests will want for nothing, as they’re waited on by our experienced team. Situated within a premium section of The Point, the Captains Club hospitality package will help you deliver an unforgettable experience for your guests. 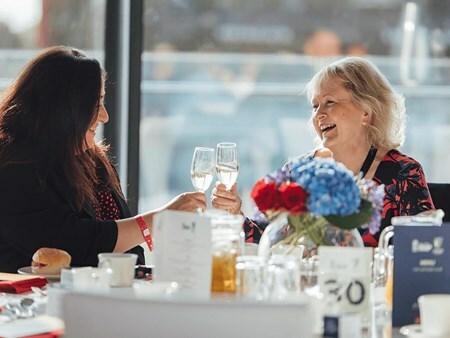 Not only will you and your guests have access to the very best balcony viewing from The Point, you will also receive a full complimentary drinks service and exquisite dining, as well as benefiting from having past and present Captains from the world of cricket based within the suite. The Century Lounge boasts a relaxed and informal atmosphere with all the details needed to make a special hospitality experience at Emirates Old Trafford. Located within The Point, you and your guests will have a bright and airy view of world-class cricket. Upon arrival you and your guests will enjoy a glass of champagne and brunch, followed by canapés and a delicious buffet. Can't find your favourite England v Australia 4th Ashes Test - Day 3 package?